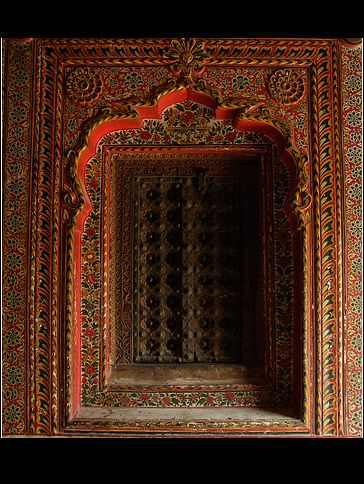 Rajasthan’s Shekhawati region is famous for its elegant havelis and intricate wall paintings. The region covers a number of towns and villages. Mahansar, established in 1768 by the Shekhawat Thakurs (Thakur Nahar Singh), is one of the most vibrant towns of the region. The town is not a big one and is located just 40-km away from the nearest city Jhunjhunu and at the trifurcation of Sikar, Churu and Jhujhunu districts. Mahansar possesses tourist importance on its own rights. It opens doors of the Shekhawati culture to the world. Old havelis of the area coupled with marvelous colorful wall paintings make visitors mesmerized. Keeping India’s traditional breweing system alive forms one of the major duties of the region, which is famous for advocating its heritage liquor. Erstwhile Mahansar royal family’s Rajendra Singh Shekhawat runs Shekhawati Heritage and Herbal Pvt Ltd. towards giving the heritage liquor an international identity. The town offers a great place to witness admirable heritage of the Shekhawati population. Camel safari gives added attraction to the visit of the Rajasthani town. Primary language of the region is Rajasthani with Shekhawati accent. Hindi is also being spoken here. Ideal time to visit Mahansar is from late September to mid March. Some of the popular attractions of Mahansar include Sone Chand ki Dukan, various Havelis, the Dancing Hall, Raghunath Temple, etc.